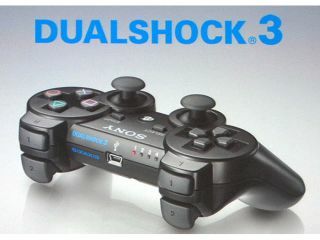 The next version of the PlayStation 3's firmware will add support for the forthcoming DualShock3 controllers. It's not known exactly when it will be available for download, but version 1.94 of the PS3's firmware has already been spotted on an early copy of the new Ratchet and Clank game. The DualShock 3 controller is launching in Japan in November. It was officially unveiled on September 20 at the Tokyo Game Show 2007 in Chiba, west of Tokyo, just hours after being accidentally made public by Electronic Arts when showing its new PS3 games. The lack of a rumbling device for the Sony PlayStation 3 over the 11 months since it launched has been put down to litigation between Sony and Immersion, who claimed the Japanese giant had infringed its rumbling copyright. In announcing the DualShock 3, Kaz Hirai, Sony president and CEO, said the delay had been due to engineering issues that had been now resolved. Although pricing has yet to be decided for the new Bluetooth controller, several games in development are already compatible, while older titles can be made ready to rumble through downloaded PlayStation Network updates.